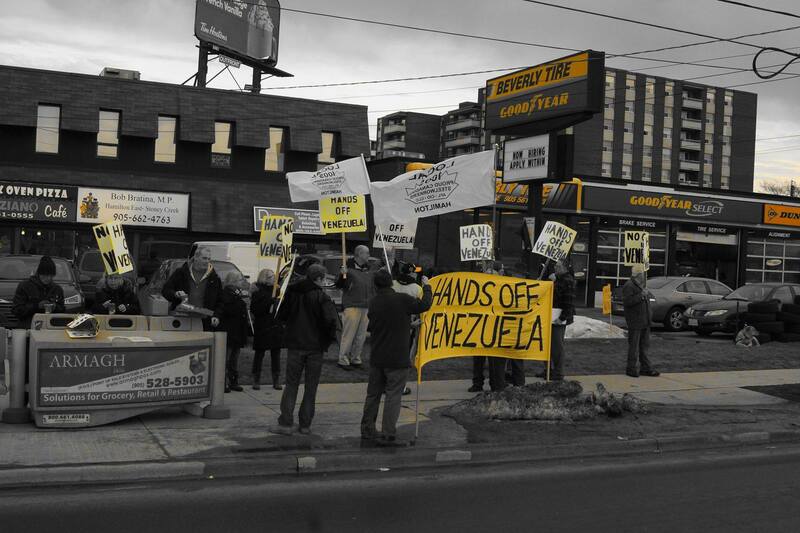 Today, our Coalition held one of eight pan-Canadian protests against the Trudeau government’s hosting in Ottawa of the Lima Group of regime change plotters in Venezuela. Represented were Hamilton peace activists, steelworkers, postal workers, and students who joined from off the street. In addition, supporters brought us coffee and doughnuts (It’s Hamilton after all, donut capital of the world.) 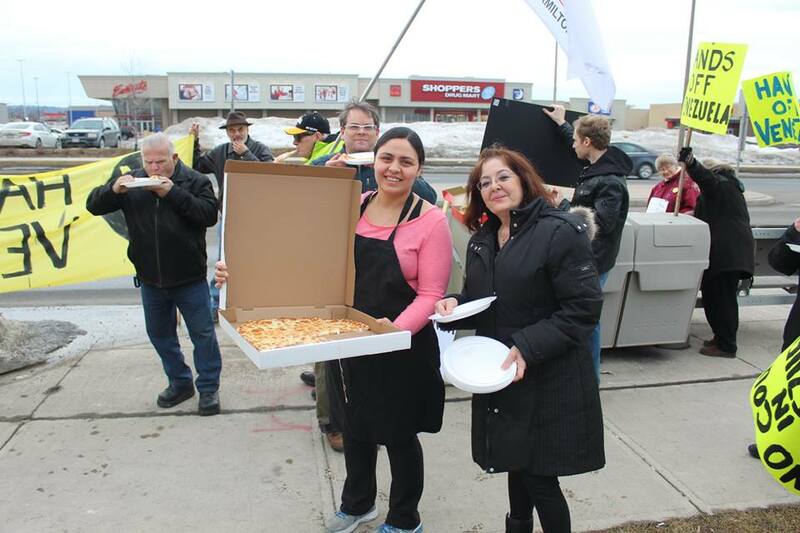 And the staff at the Domiziano Cafe, right next door to Bob Bratina’s office, brought us two free, extra-large, brick-oven-baked pizzas. I highly recommend their pizza. You might say it’s “La pizza de résistance”! This is early days in the struggle against Global Affairs Minister Chrystia Freeland’s dirty little war vs. Venezuela, to which she has donated at least $63 million of your tax dollars. Are you outraged that the Trudeau government – in your name – is violating international law and the Charter of the United Nations? Do you believe that only the people of Venezuela, and not foreign politicians, should decide the future of their country? Become a volunteer with the Hamilton Coalition To Stop the War. Email hcsw@cogeco.ca today!